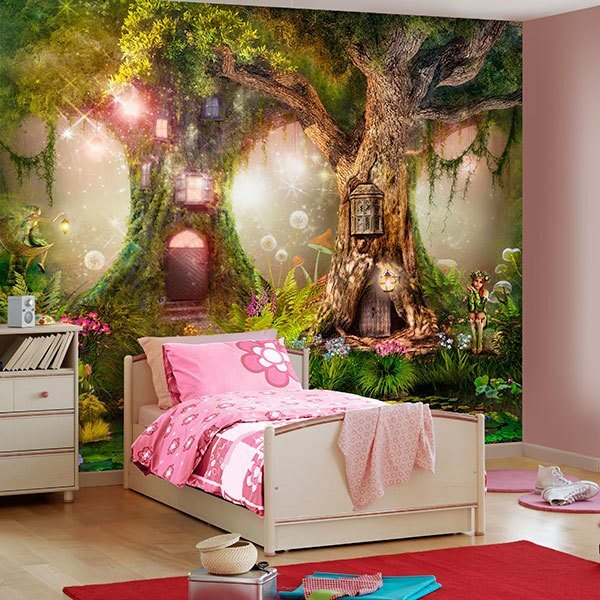 Wall mural Tree Houses of the Fairies. 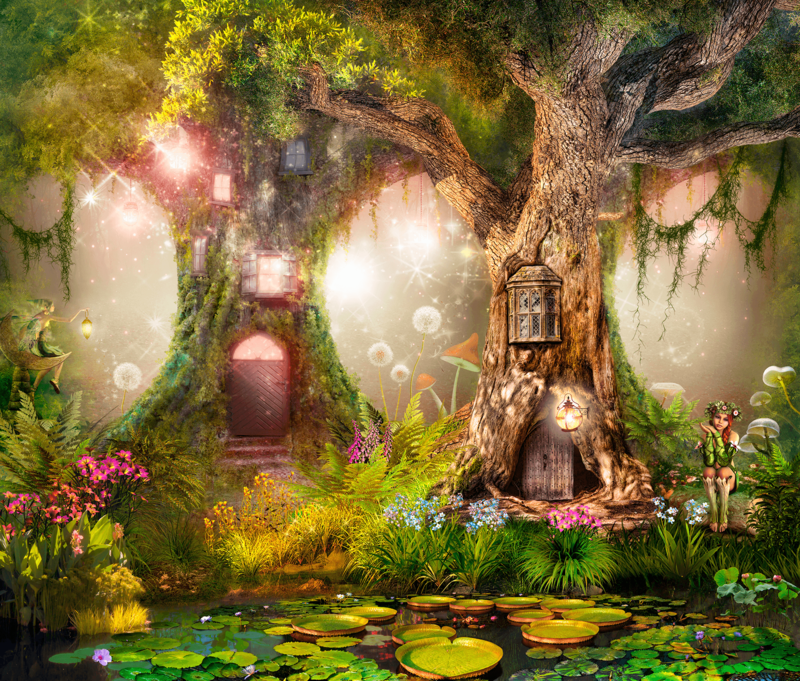 Spectacular illustration of a fantastic forest where the houses of the fairies are built in the trees, inside their trunks. A small fairy sits next to the water lily pond. 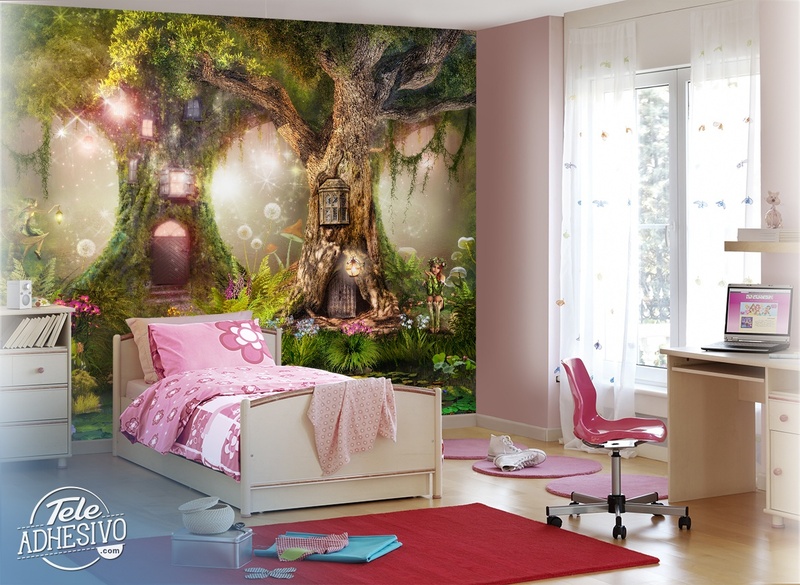 There are colorful flowers, mushrooms, plants and magic.